Roddy Doyle is a helluva writer. You should read everything he’s written, but for starters, consider this slim, absorbing novel about Paula Spencer, a 39 year old wife and mother trying to find her way out of an abusive marriage. 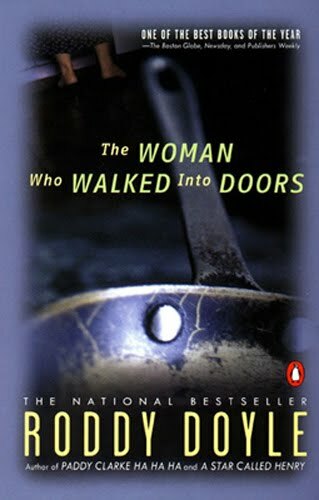 From the very first page, you will be sucked into Paula’s story, to her infectious outlook on the world and her struggle to remain buoyant when faced with the stress of raising her troubled teens and protecting them, as well as herself, from her increasingly alcoholic, violent husband. Despite this rather familiar plot, everything about this novel will surprise you. It is not an overly sad, heavy book. The charm, strength and honesty of Paula’s voice (conveyed so convincingly by Roddy Doyle that he all but disappears) will keep you going. Is it a story of redemption or a story of survival? It’s hard to say, but you won’t regret the journey. Will appeal to fans of literary fiction, family drama and redemption stories. Be prepared for the rapid fire Irish dialogue conveyed with dashes rather than quotation marks. 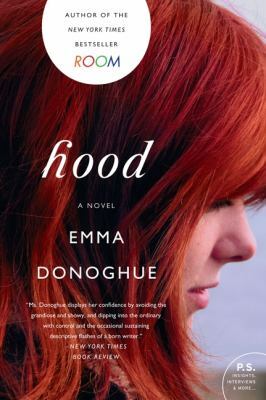 Many years before the success of Room, Emma Donoghue wrote this elegiac love story about two Catholic school girls who meet and fall in love as teenagers at their Irish convent school. The story takes place in the late 1970s and 80s, when homosexuality was unacceptable in the largely Catholic country. Despite their differences (Cara is a true free spirit, jumping in and out of bed with various men and women, but remaining faithful in her own way to the more vulnerable Pen), the two girls manage a tumultuous secret relationship into their late 20s, when Cara is killed in a car accident. Reeling from grief and shock, we hear the story of their relationship from Pen as she jumps back and forth between the past and her present day funeral preparations. The novel is exquisitely written, with passages that linger on the quiet everyday rhythms of a relationship and intense scenes of passion between the two women. Hood also examines the painful reality of one partner forced to grieve in silence as a result of their long time secret love. Will appeal to fans of Sarah Waters and Jeanette Winterson, LGBT and feminist activists and sympathizers and readers of literary fiction. 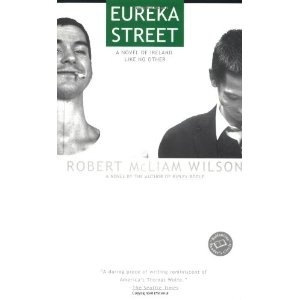 As the official subtitle conveys, Eureka Street is indeed a novel like no other. By turns shatteringly sad and laugh-out-loud hilarious, this story follows two friends living in Belfast, Northern Ireland, as they try to make a life for themselves in a war town city. Jake Jackson, the main character, works in construction, giving him much insight into the destruction continued terrorist bombing has wreaked on the city. He speaks irreverently about the conflict between Catholics and Protestants and even has trouble, after a few drinks, remembering which one he is. His buddy Chuckie is busy trying to scam people out of their money with various get rich quick schemes. At times, the prose suffers, to be sure, but the main appeal of this novel is its originality. It has great promise, and I think, timeliness, in our current political pathos. Finding humor amid such terror and widespread fear is a serious task, and I think McLiam does a fine job. Will appeal to fans of Irvine Welsh, Nick Hornby, and their irreverent, humorous style, as well as anyone interested in the culture of Northern Ireland.